Golf is a game of inches and any golfer looking to stay ahead of their competitor needs to invest in a state of the art rangefinder. As a competitive game, golfers don’t have to guess where the green is especially today where problems can be resolved using technology. Furthermore guessing where the green can result in the golfer using too much or too little of a club. With the best golf rangefinder under 300 at hand, golfers are able to have a clear distance of the flagstick. Furthermore, it allows for assessment of bunkers, fairways, trees and ponds. All this can be achieved at the push of a button. The best thing about The rangefind﻿ers is that they are available in an ergonomic design allowing stability. It helps to provide quick and stable measurement response. The technology provides a response in approximately 0.5 seconds regardless of the distance to the target. 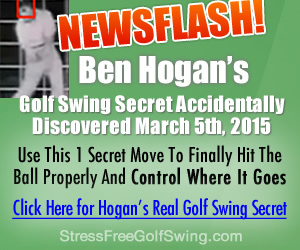 This allows the golfer to make quick decisions finally clinching a win. First target priority helps to quickly and accurately identify the flag from the background. This is great if the background is lined with trees. Unlike other brands, the Nikon COOLSHOT 40 Golf Laser Rangefinder provides an incredible ranging capability of 8 to 650 yards which is reported in ½ yard increments. The 6 power monocular features the legendary Nikon optics that not only provides clear readings but amazing sharpness too. This is beneficial as it helps golfers to see what lies ahead, behind, above or below with clarity. The power button makes it easy to turn on/off the range finder for use and after use. Using the push and release feature, golfers can have an 8 second continuous measurement scanning that allows quick measurements and multiple targets. The rangefinder provides golfers with short vibrating bursts that help to reinforce the laser has locked on the flag. This ensures that the gadget instantaneously acquire flags up to a distance of 450 yards way. This is achieved with extreme speed and incredible range. The rangefinder is able to provide yardage faster and accurately than ever before thanks to the second generation extreme speed precision technology.It is so accurate that from 5 to 125 yards, the distance is displayed up to 1/10 of a yard. This is attributed to the lightning fast response of the feature. It dramatically helps to improve the display for rapid, positive target identification in all lightning conditions. The VDT technology helps to optimize the digital readout providing accurate readings. Not only are the electrical components protected from the rain but golfers are assured of continued play in any weather situation. The Bushnell Tour V4 Rangefinder has the Pinseeker with Jolt Technology that delivers unrivaled accuracy. It provides golfers with short vibrating bursts that reinforce the laser allowing it to pinpoint the flagstick accurately. Golfers can be able to know the distance to the flagstick finally making that winning shot. It comes with a premium carry case made with high quality materials. Not only does the carry case provide a safer place to store the range finder after use but when carrying around too. Furthermore it offers protection to the rangefinder and prevents damage and scratches. It features the fast focus system that is complimented by 5x magnification which allows you to see all shots clearly. Together with accurate ranges from 5 to 1000 yards and 400+ yards to a flag, you can stay ahead of your competition. rangefinder at this price point. The flag separated from the background without any issues. I tried this at almost 300 yards with excellent results. I’m surprised they fit so many features in such a small camera. I was able to keep this in my pocket while I played. Very accurate and easy to read. I measured a number of targets at once on continuous mode. This really is a great rangefinder. Extra bonus is that it includes 3 Callaway chrome soft golf balls and some other extras. To find the best golf rangefinder for your needs, there are factors you need to consider. These will help you to make the right decision and purchase. Rangefinders are available in ergonomic designs. This helps to improve stability when taking measurements of the flagstick. The ergonomic design makes the rangefinder to be a versatile tool. It can be able to range any object even with a background dotted with trees. The best golf rangefinder under $300 can locate hills, doglegs, trees, bunkers, pools, golf carts and now, the flag. Satellites and reflectors are not needed to find the distance to the nearest object. Unless a storm is upon a golf course, a little rain will not deter golfers from enjoying the game. To ensure golfers are able to make the right measurement when on the course, the rangefinder needs to be weatherproof. Weatherproof materials are used to allow continued use of the rangefinder during inclement weather. Not only is the weatherproof capability device rainproof but it should withstand high temperatures too. This helps to protect the internal components of the rangefinder. As a handheld device, it needs to be easy to use. Control buttons should be clearly labeled and easy to operate. It should also be able to go from package to course ready in matter of seconds. The device should be activated with the push of a power button allowing technology like First Target Priority and Scan Mode to kick in. This allows the golfer to have easy distance assessment to bunkers, fairways, trees and ponds. A brand name with a solid reputation assures you of a quality optical device that provides accurate measurements with ease. Top quality ensures a solid construction which means that golfers will get to have a reliable tool that lasts for long providing the much needed service. Top brands engineer their rangefinders with high quality technology. For example, when it comes to magnification, top brands with a solid reputation will feature 6x and above allowing better measurement. Poor quality brands will have 4 x magnifications or less which is not great for a professional golfer. Brand quality also affects maximum range. Top brand rangefinders can have a range of up to 1000 yards or more while poor quality gadgets may have a range of less than 350 yards. Top quality brands with a higher range makes it easy to lock onto targets. Scan mode is a useful feature that allows the rangefinder to scan target objects in an attempt to find the right one. This feature should be easy to activate. Majority of rangefinders allow push and release on the power button to activate scan mode. Thanks to this feature, golfers can be able to know the distances to hazards, pins, mounds and trees. Not only will this prevent occurrence of accidents but it allows the game to proceed. This Rangefinder features advanced technology like slope function. This feature provides the golfer with compensated swing yardage depending on the degree of incline and decline. Another advanced technology that is useful is the Hyper Read. The handheld device will provide you with quick and accurate measurement in half yard increments. This is an important factor to consider because at the end of the day, you have to make the right purchase. If you are shopping online, you can utilize price comparison tools. These will allow you to have a firsthand glimpse of different models and their prices. You can compare their features easily finally picking the winner. Making price a consideration eliminates the chances of you overspending. Since the best golf rangefinders under $300 are legal for use by professionals in a golf game, it’s a good investment. Not only will you be able to stay ahead of your competitors but it will improve your game too. It can pinpoint distant readings as well as different views of the course. This makes club selection to be easier and accurate. As a result of the popularity of rangefinders, the market is filled with different brands that come in different styles and prices. This makes decision making to be a little difficult especially for beginners. Think about the many features, their pros and cons. This information is a lot to process. To make your decisions easier, there are factors you need to consider. They include form factor, weatherproof capability, brand, scan mode, price and availability of advanced technology. Taking these factors into consideration and using available product comparison tools online, will allow you to buy the right rangefinder. With the right rangefinder, golfers will cut strokes and improve their club selection rate. Planning to shop for a rangefinder that will improve your game? I highly recommend the products reviewed above.You may like also The best golf gps reviews to track exact loation for your need .